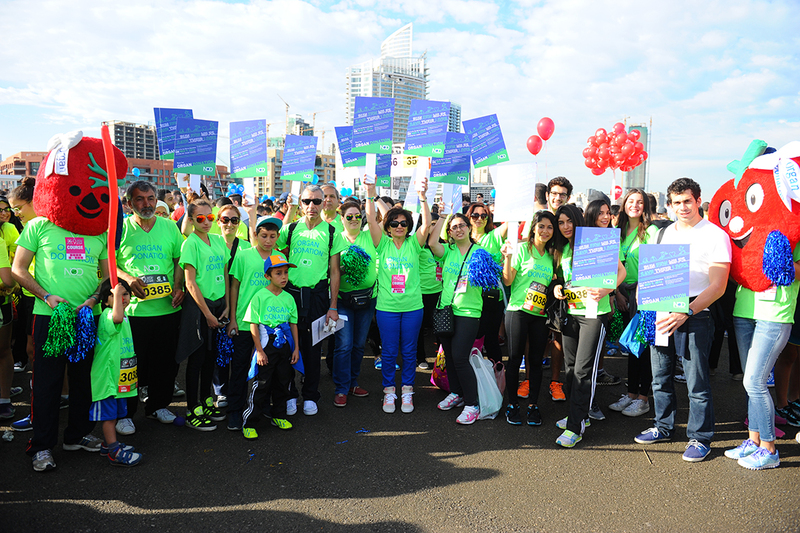 NOD Lb with the cooperation of a group of volunteers from LAU, participated in the Beirut marathon held on November 9, 2014. Friends and supporters run the marathon for organ donation and volunteers welcomed people at the finish area to distribute brochures. NOD Lb invited the artist Rami Mouallem to do graffiti at NOD’s cheering station. He started with the first race and finished with the last race!